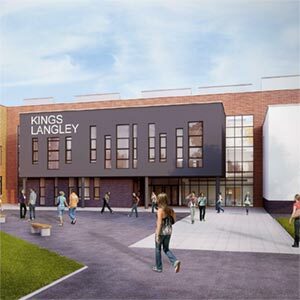 Interserve Kajima JV has been named preferred bidder by the Education Funding Agency (EFA) for a £100 million private finance contract to design, construct and maintain seven secondary schools across Hertfordshire, Luton and Reading. Construction will start on the first of the schools – the first to be procured using the government’s new PF2 funding mechanism - in November, with completions scheduled for August 2016. The scheme, procured under the Priority School Building Programme, will see seven secondary schools built across Hertfordshire, Luton and Reading. Interserve Kajima will be responsible for the design and construction of the schools as well as the provision of maintenance and lifecycle services over a 25 year period. The EFA, Interserve Kajima and the schools will now engage in a six month detailed design stage through to financial close in October 2014. More than 8,900 pupils will benefit from the construction programme, with classes at each school to be taught in new, purpose built buildings. Interserve Developments managing director Chris Field said: “We are delighted to have put forward a winning solution that underlines the Group's ability to create an integrated, whole-life proposition that will significantly contribute to improved educational outcomes for thousands of students in Hertfordshire, Luton and Reading. The secondary schools included in the deal are Bishop’s Hatfield Girls’ School, Hatfield; Goffs School, near Cheshunt; Kings Langley School, Kings Langley; Longdean School, Hemel Hempstead; Reading Girls’ School, Reading; Stopsley High School, Luton; and Westfield Academy, Watford.